Having decided to go off cycling somewhere, for a couple of weeks, and having decided that a November LEJOG was likely to be a bit on the chilly side, we (that is, Rick and Kath Wiggans) decided to head for sunnier climes. 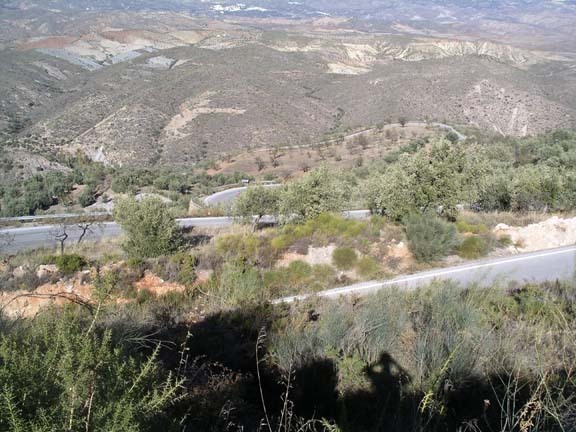 We picked some cycling specific accommodation in Cadiar, a small town at around 3000ft above sea level, a couple of hours drive from Malaga, in the Sierra Nevada. I picked the place a bit at random out of Cycling Weekly, and having read the reviews on their website, decided to book us in. The place is Vamos Cycling, and is run by an English couple, Sarah and Gary Williams. You can book B&B, and they will suggest routes, or will ride out with you. You can decide each morning if you want feeding that evening. We took that option every night except one, when we ate out in town. The quality and quantities laid out on the table mean that unless you particularly want to eat out – the eat-in option is well worth considering. They only accommodate cyclists, and so know exactly what is required. 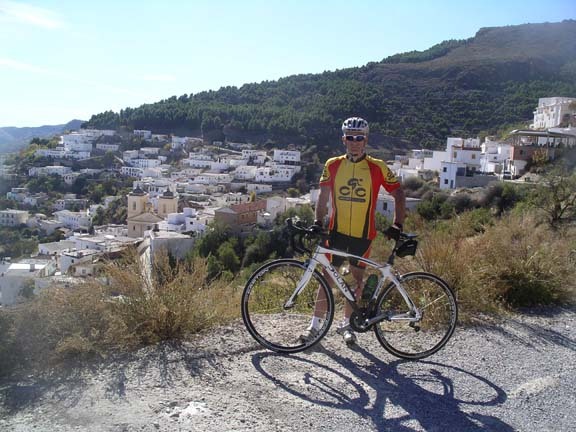 Gary is a cycling fanatic, and has a wealth of knowledge about the area, both on and off road. Sarah also cycles, but her speciality is feeding the hungry! The place accommodates up to 7, and everybody eats together, which makes for some fascinating conversation. There is a fully equipped workshop at guests disposal. Just as well, since I bust a spoke! The area is just brilliant for cycling – as long as you like hills! We cycled six days, prior to moving on to visit friends, covering around 350 miles, with in excess of 35000 feet of climbing. Nothing steep, but plenty of long ones. From memory, our longest ascent was just over 20Km. Stunning scenery, roads a smooth as the proverbial babies saddle area, and motorists who are exceptionally considerate. The accommodation is at around 3000ft, and our routes took us down as far as about 1000ft, and up to 6000ft. An area well worth a visit!